Polish Spirit Clematis: great choice for beginners. Polish Spirit to be one of the very best clematis for beginners. 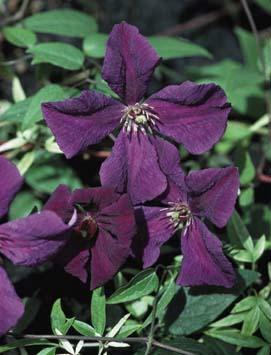 this one is a great choice for your first clematis - or your tenth! and producing blooms deep into the fall.